I made the mistake of assuming that since a La Nina was the opposite of an El Nino, that this meant it would be a dry winter. I guess it has more to do with the temperature of the rain than the amount of it. I know one thing for sure, I have never worn out an umbrella before, but the one I have owned for the last year is never going to make it through this winter. My photo of the day was taken during my morning walk. One of the few nice mornings, lately. 2010 is rapidly drawing to a close and so is Project 365 for the year. While this project may have ended up being more of a task than a labor of love, it has made it possible for me to look back and see what I did this year. It has been fun packed. 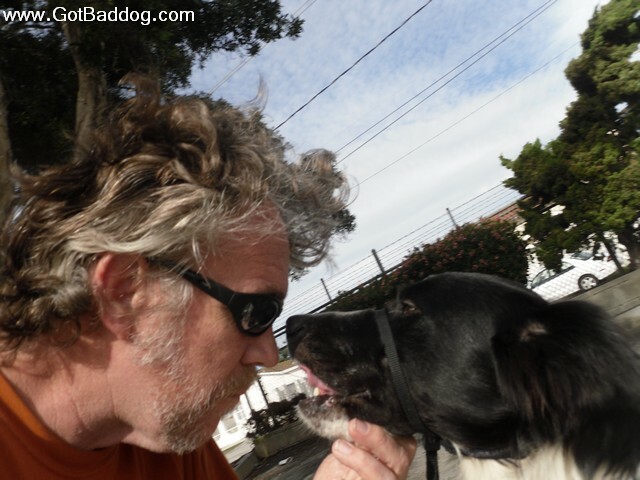 My picture of the day is of Buddy and I having a serious discussion about our activities of the past year. I have mentioned a couple of Christmas traditions I have in prior posts, but my favorite of all has to be my Christmas morning ride. As I am sure most of you are aware, the day after Thanksgiving starts the Christmas shopping season. This means one thing to me, lots of traffic. There are several large malls within a five mile perimeter so we get lots of traffic. I have lived in homes that were virtually impossible to get out of the driveway because of the amount of traffic. It makes owning a motorcycle pretty handy. On Christmas morning the streets are virtually empty and the cops on duty seem to be a little more forgiving, so December 25 is officially my favorite day of the year to go for a ride. 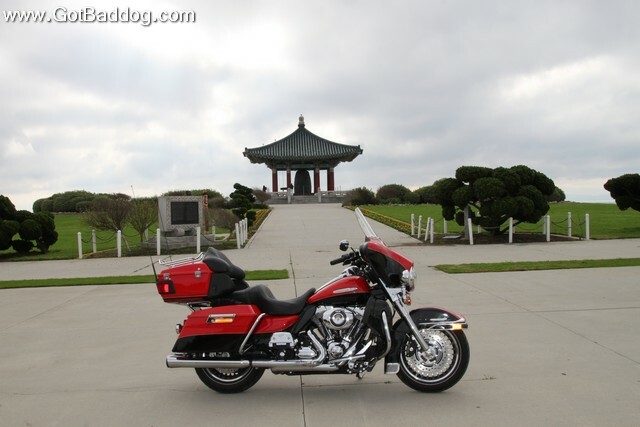 My photo of the day for Christmas 2010 is of my Limited parked in front of the Korean Freedom Bell which overlooks the Port of Los Angeles.